If you have not noticed by now, I love to read. Although I frequently enjoy the work of women writers, this month, I particulary want to uphold their work. 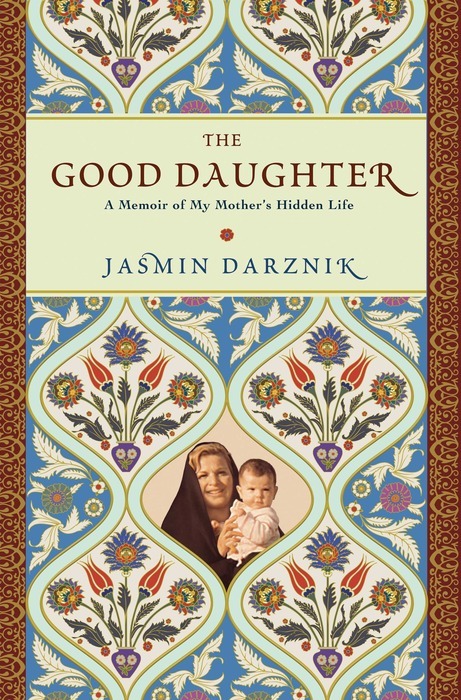 Check out reviews of Edwidge Danticat’s Create Dangerously: The Immigrant Artist at Work and Jasmin Darznik’s The Good Daughter: A Memoir of my Mother’s Hidden Life. “Create dangerously, for people who read dangerously. This is what I’ve always thought it meant to be a writer. Writing, knowing in part that no matter how trivial your words may seem, someday, somewhere, someone may risk his or her life to read them.” Shortly after Haiti’s tragic earthquake, Edwidge Danticat appeared on television and radio. Soft-spoken, she eloquently urged us to lend long-standing support; but, most importantly, to remember long after the media forgets. Not unlike numerous artists of the diaspora, Danticat’s allegiance to her home country remains steadfast. During childhood, an immense appreciation of words emerged, largely influenced by traditional Haitian storytelling. Although she immigrated to the U.S. at twelve years old, the culture and those left behind remain deeply imbedded, and eventually contributed to notable works such as Krik? Krak! and Breath, Eyes, Memory, chosen by Oprah’s Book Club. The author’s latest offering, a slim volume, Create Dangerously: The Immigrant Artist at Work, effortlessly combines memoir and essay. Lesser writers would muddle the juxtaposition of these distinct literary forms, but here it’s cohesive. Bold questions with inescapable challenges are presented: What happens when creation becomes an act of rebellion? How does this impact the work (literature, painting, sculpture, etc.)? How do everyday people cope with extreme repression? While lucid, pedagogical, and detailed in tone, warmth comes forth throughout it all, as we learn not only about luminous artists such as Jean-Michel Basquiat, Jan J. Dominique, Hector Hyppolite, and more, but catch glimpses of Danticat’s family, described with grace and tremendous courage. We meet Marius, a rebellious young cousin, whose suspected cause of death (AIDS) is ignored, and Danticat’s proud seventy-five-year-old Aunt Ilyana, determined to remain part of the country she loves. Simple gems abound in these chapters, which underscore the deep connection of family – both biological and artistic. It’s a celebration of artists, their uniqueness and perseverance in battling enormous adversities, ultimately, creating art rooted in resistance and resilience. Danticat, like all brilliant writers and other artists, push us to think critically about the other, and expand our humanity. We rarely contemplate the lives of our mothers. Instead, they exist solely in relation to us, not as separate entities. Jasmin Darznik, assistant professor of English at Washington and Lee University, courageously delves into her mother Lili’s life, uniting the stories of three generations of women, including her grandmother and great grandmother. Although Lili initially refused to talk about the discovery, after some time, she began sending Darznik cassette tapes by mail, ten in all, chronicling a life of strength which included fleeing physical abuse in her first marriage, education in Germany, and life abroad, but most shocking of all, the birth of her first daughter, Sara, Lili’s daughter who still lived in Iran. The uniqueness of the work is that readers witness Lili’s experiences not only through her own eyes, but from the vantage point of others such as Kobra, her industrious mother. Life for women in Iran, not unlike many parts of the world, remains arduous, tied to tradition and people’s perceptions. Darznik does not shy away from wrestling with the enormity of what it meant for her mother to grow up female in Iran. Yet bitterness does not emerge, but a refreshing candidness which yields a brilliant literary offering, replete with all the complexities of life, love and relationships. Perhaps the only lingering disappointment is we are left to wonder what became of Lili’s relationship with Sara, the beautiful daughter who once banged on her mother’s door as a child and as a rebellious teenager, accused her of not studying abroad but being a prostitute. Instead, one is left to imagine the possibilities. Still, all in all, The Good Daughter: A Memoir of my Mother’s Hidden Life, is a beautifully layered book, imbued with the binding love of mothers for their children.